This topic contains 8 replies, has 6 voices, and was last updated by Vanessa Law 2 weeks ago. 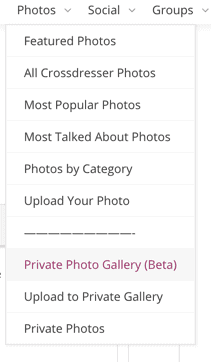 We have just launched a new feature into Beta on Crossdresser Heaven – Private Photo Galleries – it is now open to all Baroness, Duchess and Princess members. Not a premium member? Upgrade your account today. Open the Photos dropdown and choose to browse member galleries or upload your own photos. 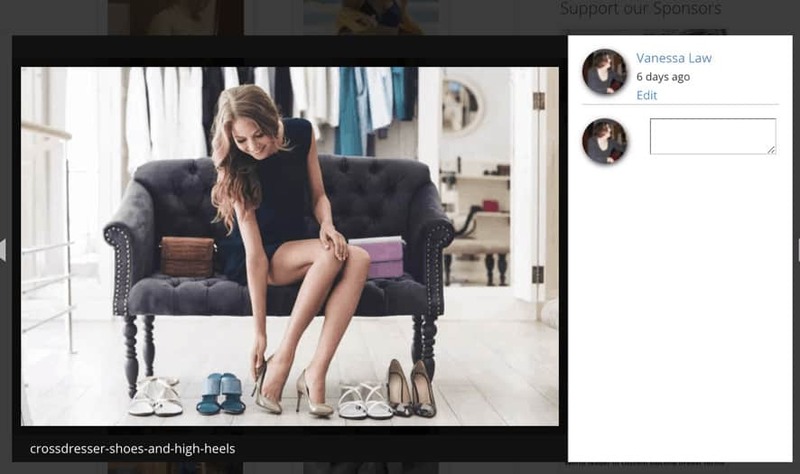 When viewing photos you can use the left and right arrow keys to quickly navigate through all photos in a gallery, and it’s just as easy to leave a comment! Enjoy! Please let us know if you have any feedback on the new photo galleries! Just wondering if anything’s being done to make the browsing experience of public photos similar to the beta private photos appears to be. It would be nice to be able to flip through public photos in a similar fashion. That’s a good idea Brianna, I’ll add that to our list of improvements to consider! Would Love to do this, but cannot “pay” without others seeing I’m here. I tried to upload some photos into my private photo section. Under my “profile” section it says I uploaded them, but they do not appear under the “private photo” section. When I click on that I get the Error 404 message. Can I not do it that way anymore and have to go under the (Beta) section to add photos to my “private photo” section? Or did the “private photo” section go away all together? Private photos should now be working – we had a technical glitch with this. We are considering moving eventually over to the new gallery, but have no current timelines or details on this at the moment. They work really well. So nicely done. Thank you. One question. Is there an easy way to change the “cover” photo? I only saw that option upon uploading. Jasmine, To change the cover, Click into a gallery you’ve created. Click Edit, then click edit details and you’ll see an option to change the album cover.